What do you do when you have poor soil quality, want to protect your plants from pests, and need a planter that has great drainage? 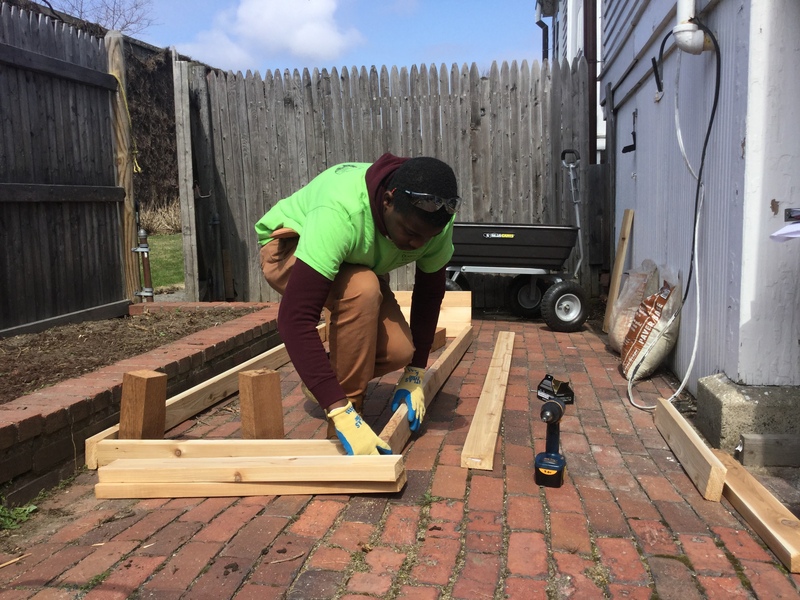 Consider constructing a raised bed! 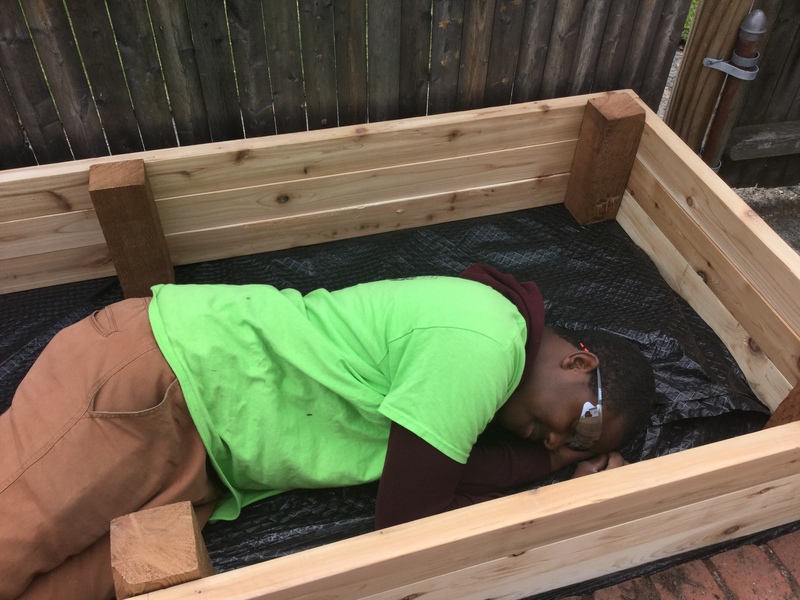 During the School Year Program we were tasked with a project to create a prototype raised bed design that would be installed in our office backyard space. 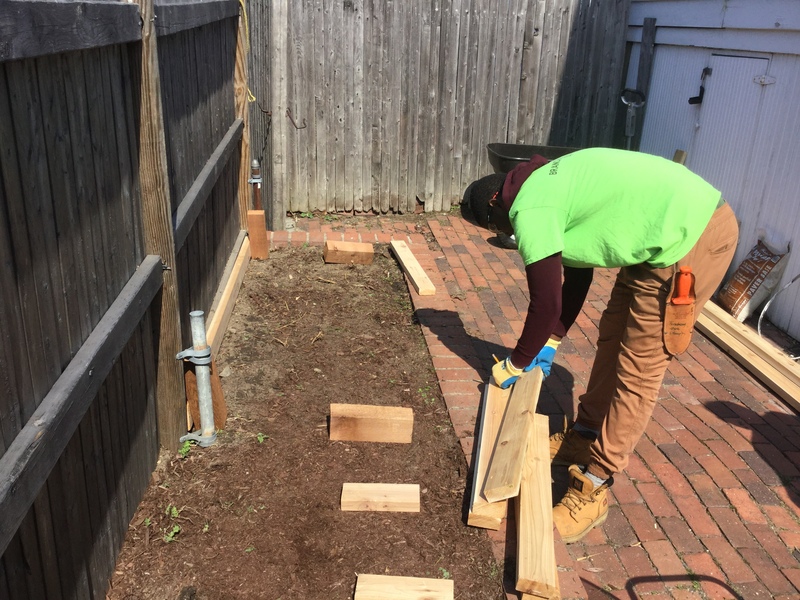 Our backyard space has brick planter beds, but the soil quality was poor and is subject to animals such as rabbits and squirrels that would eat at the plant material. Raised beds would also allow us to have better drainage and allow us to increase the plant diversity and growing capabilities. Before creating this prototype, we needed to think about what we wanted the space to be like. We wanted to create an outdoor area where office workers could sit and enjoy lunch while also having nice plants. 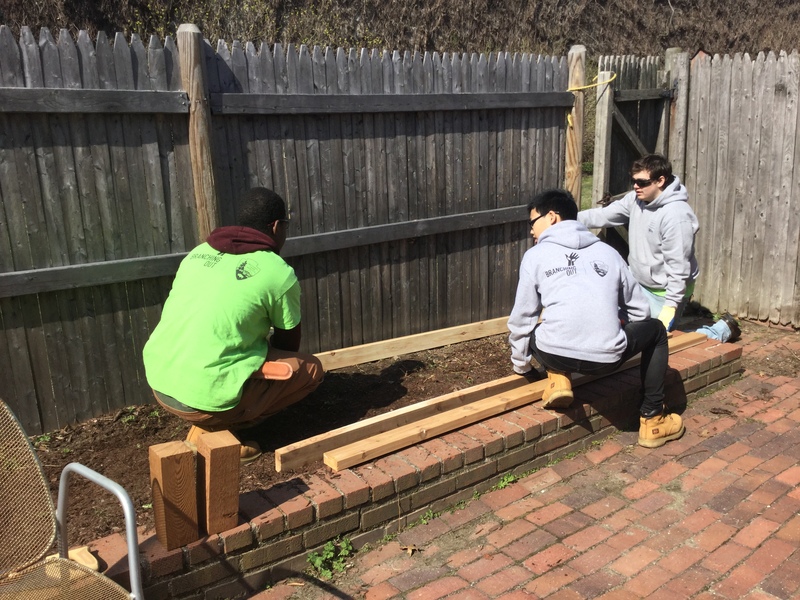 With the help from landscape architect Chris Beagan from OCLP and researching information from the web about raised bed gardens we applied what we learned for this project. 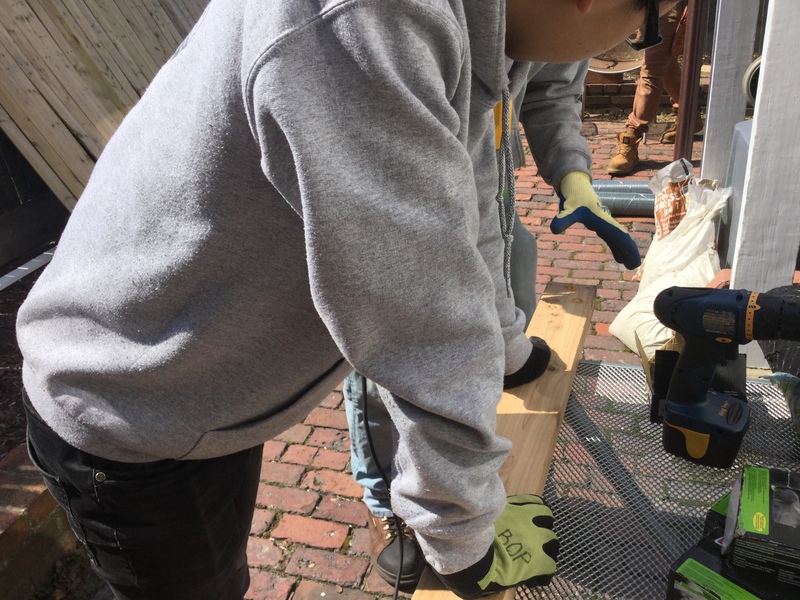 First our Branching Out supervisors had determined that the best building material would be untreated cedar because it is a durable wood to withstand weather elements. They also found a design that would be simple and easy to install. To prevent animals from broughing we lined the bottom with chicken wire and at a later date will also enclose the plants around the edges of the bed with the same wiring once the plants are planted and are growing. Next our School Year Ambassador team took to building the prototype. When we met with Chris we had looked at the Quarter C backyard to create a planting plant and now we used the plant to determine the measurement of the raised bed. 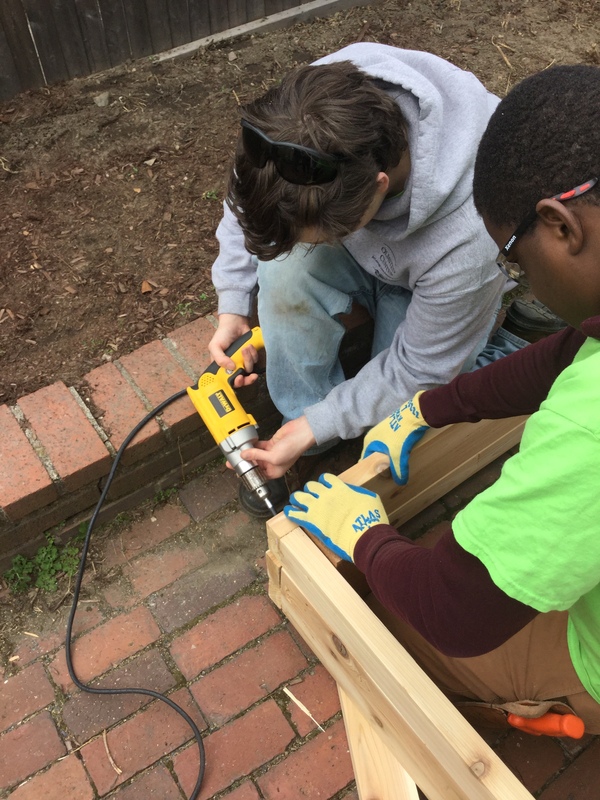 Once we identified where the bed would be build we then needed to find all the the materials that we needed such as the lumber, chicken wire, screws, drill, weed guard, nails, hammer, hand saw, tape measure, and level. Then we went to Home Depot and Lowe’s to buy the materials. 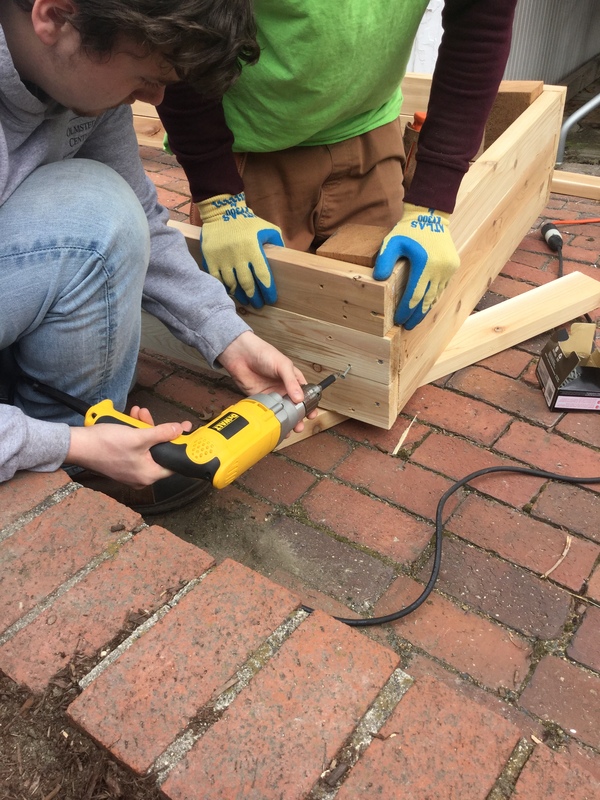 Here are the steps we took to build the raised bed! Third step: before we screw them together, we put on the raise bed to see how it will look, then we screw everything together such as the wire and weed guard. Sixth step: after we finish nail the chicken wire and weed guard, we placed the raise bed in the garden. 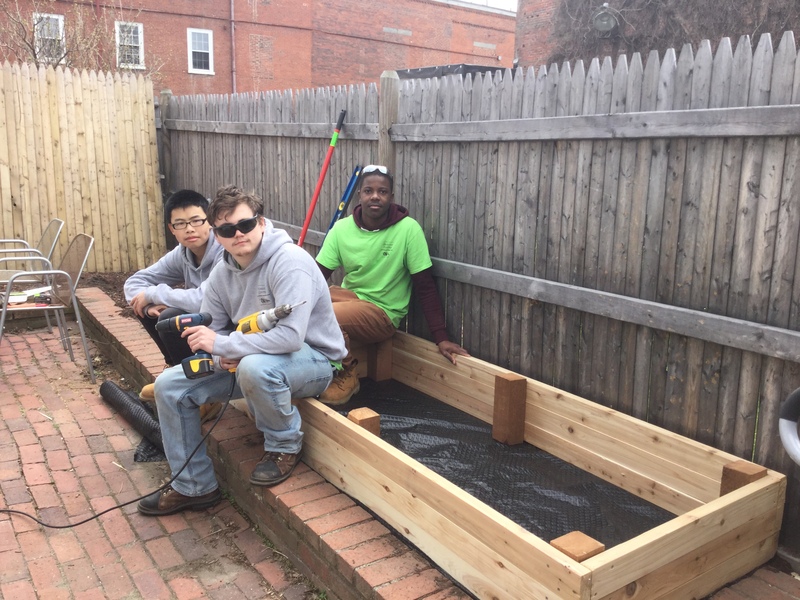 Our raised bed is only one of the many raised beds that will be constructed in the next School Year Program. For now it will be monitored and see how it holds in New England weather! Eventually when we are ready to plant we will use the soil from our compost bin! Joel and Song, this looks like a great project! The finished bed looks awesome. (Great photos!) The weed guard is a valuable refinement. I hope you enjoy the rest of your experience. Thank you.